The Entrepreneurs’ Forum has emphasised the importance of new commercial ventures and business start-ups to the UK economy, stating that they are “at the heart of GDP growth”. Nigel Mills, chairman of the non-profit organisation, was speaking after the release of the Office for National Statistics’ latest estimates on gross domestic product for October to December 2016. The figures showed that the economy grew by 0.6 percent during the period, which was consistent with the previous two quarters. Services made a particularly strong contribution to growth in the final quarter of last year, with consumer-focused sectors like retail sales and travel agencies driving the increase. Construction and production made small positive contributions, following declines in the third quarter of last year. Commenting on these recent trends, Mr Mills claimed that, in large part, the ongoing strength of the service sector can be attributed to the UK’s business start-ups and entrepreneurial ventures. He also stressed that there is strong potential in areas like manufacturing, which the government should recognise and support. “Entrepreneurs are committed to scaling up their operations to increase employment opportunities, investment activity and productivity gains, which will deliver economic benefits on regional and national levels,” said Mr Mills. 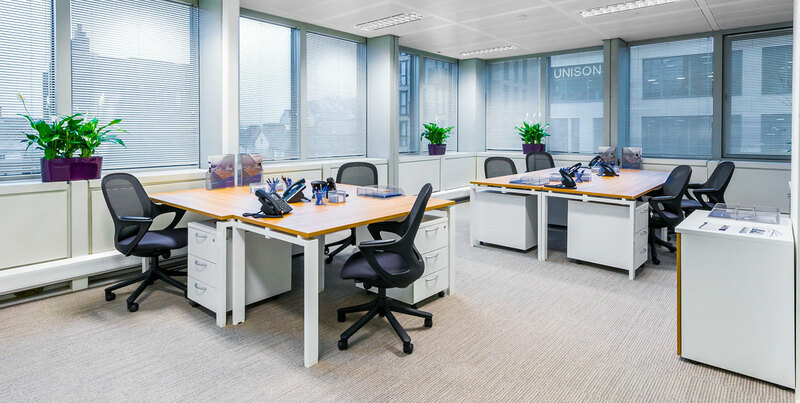 For new businesses that want to enjoy the benefits and client appeal of a professional workspace without committing to a long-term lease, short-term hire of office space or meeting rooms could be an attractive option. British business hotspots like London could be the perfect place for these firms to continue growing over the coming years. Recent research has suggested that the UK could see stronger long-term growth than countries like Germany, France and Italy, despite ongoing concerns about the potential impact of Britain’s exit from the European Union. PricewaterhouseCoopers (PwC) predicted that, with average annual economic growth of 1.9 percent, the UK could be the fastest-growing economy in the G7 during the decades leading up to 2050. However, it stressed that the country must remain open to talented workers and the prospect of forging new trade links with emerging economies in order to maximise its growth potential. Discussing PwC’s long-term forecasts, John Hawksworth, chief economist at the professional services firm, pointed out that looking at the bigger picture is often more reliable than short-term projections, which can be clouded by unpredictable economic and political fluctuations. “Our relatively positive long-term growth projection for the UK is due to favourable demographic factors and a relatively flexible economy by European standards,” he added. PwC is also expecting the global economy to double in size by 2042, with an average annual expansion rate of 2.5 percent.